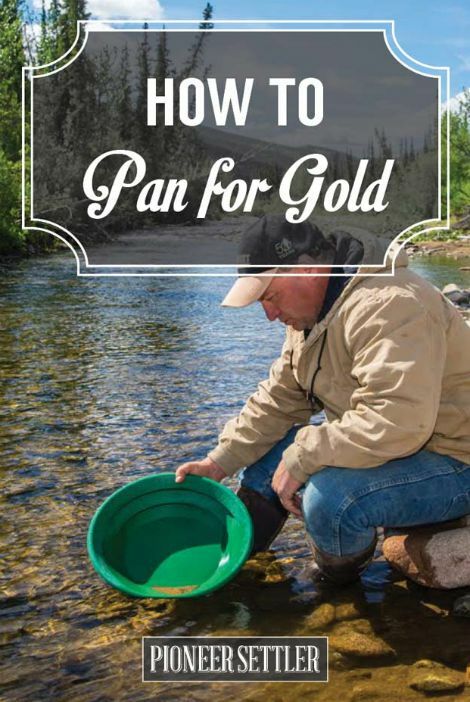 Have you thought of panning for gold when on a vacation or if you want a fun activity to do when out and about? This may be a fun way to spend your time if you know what to do. Learning how to pan for gold is not difficult if you have knowledge of the process. The first thing you need to do if you want to learn how to pan for gold is find the right area. Panning to find gold needs to be done in an area where gold was once found a stream or river. There may still be a bit of gold to be found even though the area was thought to be tapped out. You may not find large nuggets when you know how to pan for gold. Small specks of gold might be all that you are able to find if you are panning using the proper method.